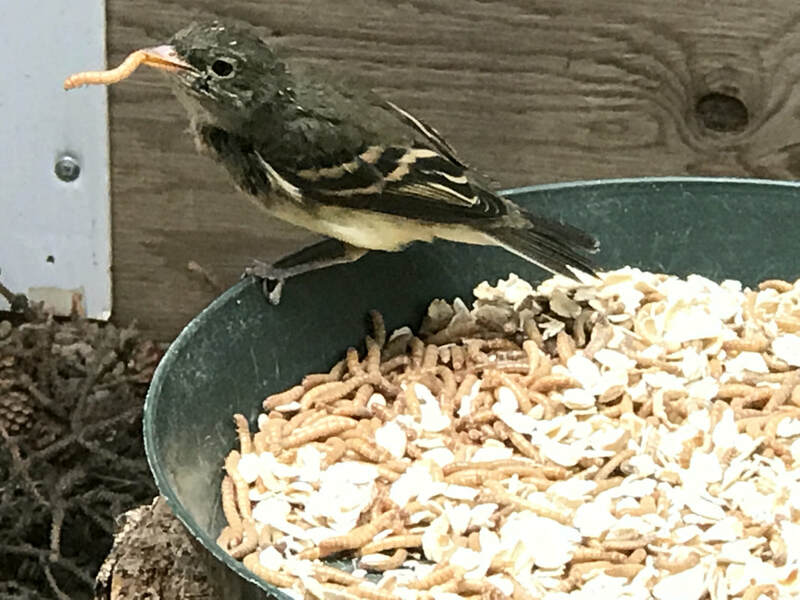 In late summer 2018, we received a nest of 4 baby Alder Flycatchers, young enough to need feedings many times a day. 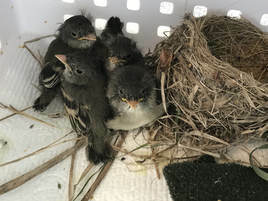 They thrived under the care of one of our baby bird "moms," and soon moved to the flight cage for final flight testing and strengthening. But by now it was fall, and local birders had not been reporting Alder Flycatchers in the area. With a migratory species such as this, the young need adults to show them how to migrate and survive in the wild. They were ready to go, but where to release them? These birds seemed to solve the problem for us. One day we heard the distinctive call of Alder Flycatchers in the trees around the center. Many of them. It appeared the chirping of the young had called in the adults. 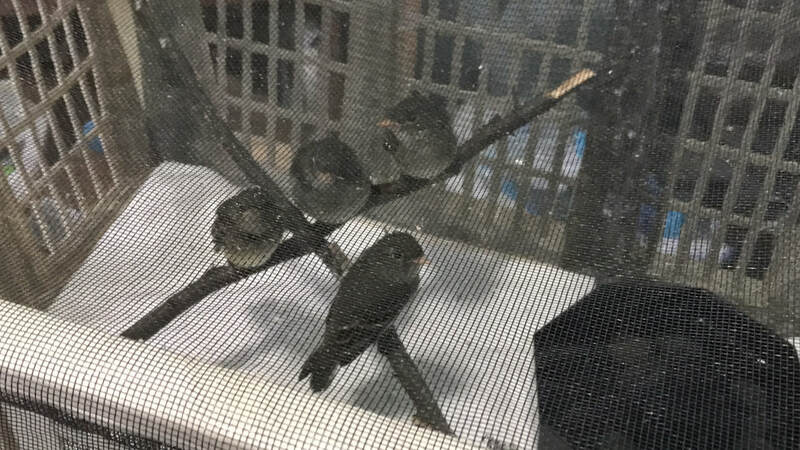 It was a simple matter of opening the release door in the cage, and within minutes they were all gone, joining the adults. Only a few minutes later we heard none of the calls. 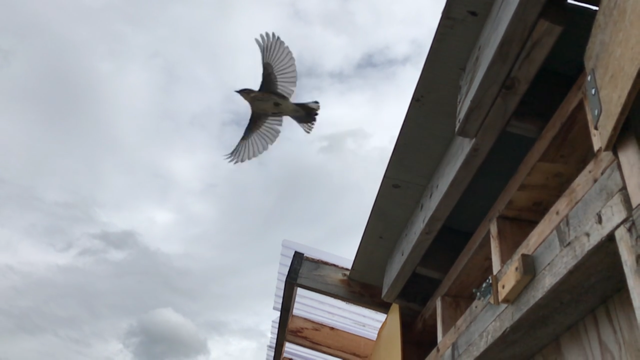 These were the first wild Alder Flycatchers we had on the property, and it was a fortuitous time for them to arrive!